Clyde has given us a double jigsaw for his third puzzle, and this is a truly impressive effort! 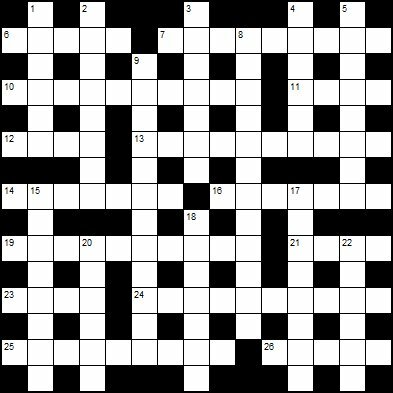 The clues are all super-smooth and not too difficult, which is as it should be for a jumbo-sized crossword. Favourite clues: the first 24 across clue and the single-entry 3 down. You can download a PDF version here, which offers a more favourable size of grid and text when printed. Solutions can appear in either grid. Solutions involving more than one grid entry may or may not be split over the two grids. To ensure a single unique solution, the solution to the first of two clues connected by an ellipsis should be entered into the left-hand grid.